When Prof. Nancy Rothbard was growing up in suburban Philadelphia, she sometimes worked with her father and uncle in their office furniture and supply company. Those interactions within the family business showed her that life happens at work too — it’s not just what happens at home. It was the beginning of the question that has driven her research throughout her career — the intersection between life and work and the interplay between co-workers. 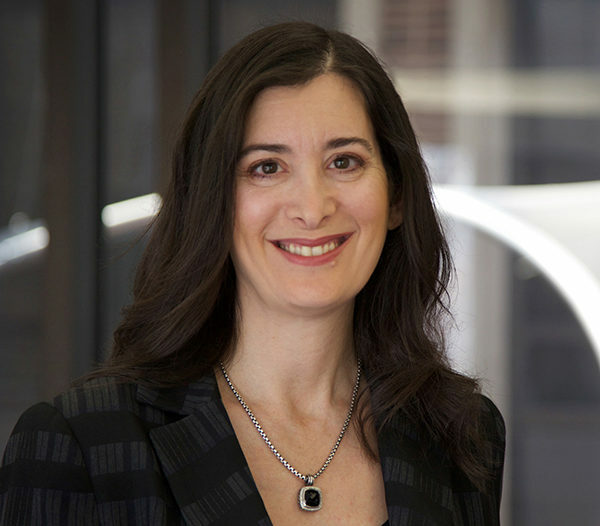 Observation of those interactions was a factor in her thinking when she and her colleague Prof. Sigal Barsade dramatically redesigned the MBA core leadership and teamwork course. And now she’s experiencing another intersection between research and practice as the new Management Department chair. “When I was in high school my mom went back to get her doctorate, so I had some exposure to the academic life,” said Rothbard. Her mother, Aileen Rothbard, now a research professor at Penn’s School of Social Policy and Practice, showed her that academics were an alternative to the business path she assumed she’d follow. For her undergraduate studies, the younger Rothbard chose Brown University, which did not have a business program. After graduation from Brown, she had an opportunity to take a closer look at academia and business at the same time. She became a research associate for leadership guru John Kotter at Harvard Business School, collaborating on case studies and two books. Kotter had been working on a long-term project with the class of 1974, interviewing MBAs before graduation and following them every year. Rothbard came in to help finish the project right before the 20-year mark. While the project could have tipped Rothbard toward getting an MBA of her own, she committed in the other direction. Rothbard earned her PhD in Organizational Behavior and Human Resource Management at the University of Michigan. After graduating from Michigan in 1998, Rothbard took a post-doctoral fellow position at Northwestern’s Kellogg Graduate School of Management before re-entering the academic job market. Rothbard’s career search was complicated by the fact that she’s part of a dual-academic-career couple. She met Brian Bushee, now a Wharton professor of accounting, in graduate school, and after three years of a long-distance relationship, they wanted to continue their careers in the same city. With the complications of academic placements and the pursuit of tenure to contend with, that outcome was never assured. And yet they both landed at Wharton in 2000, and both eventually earned tenure while raising their two children together. After teaching MBAs and undergraduates at Wharton for more than a decade, Rothbard and her Management colleague Sigal Barsade became the driving forces behind the MBA core course, Foundations of Leadership and Teamwork, completely re-designed and launched in 2009. Their inspiration came from teaching Negotiations classes. Rothbard and Barsade wanted that kind of interactive learning in their leadership courses. The two decided to look for a simulation that would deliver the same experiential learning in leadership and teamwork. They tested a lot of programs out, but it was “like Goldilocks,” Rothbard said — nothing fit. Rothbard and Barsade found Forio, an innovative learning company, that worked with them to develop their ideas into the simulation that became Foundations of Leadership and Teamwork, offered as the first core course during MBA Pre-term. In August 2016 Rothbard began her new role as the chair of the Management Department, where she has her own challenges to handle. Rothbard is conscious of her position as the first woman to lead the Management Department in Wharton’s history. Now Rothbard has to balance her leadership role with teaching and research. And her research interests have continued to evolve. She’s looking at social media, friendship at work, and how emotion enters into the workplace. Rothbard retains those early business experiences, even as she has pursued the academic path.